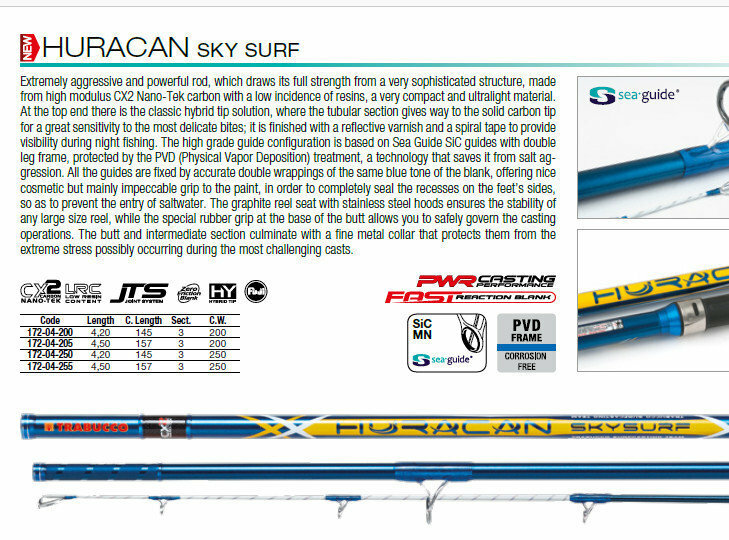 Here is a pure continental rod, sensitive but powerful that will do unbelievable distance and maintain sensitivity when reeling in . letting you know the fish is on the end. 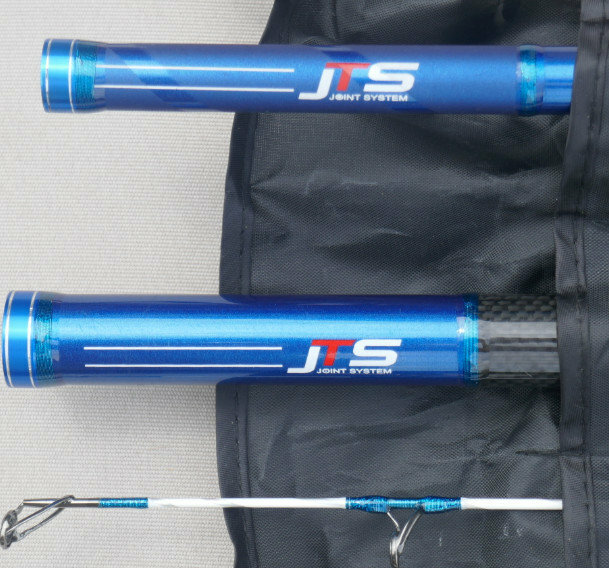 This beautiful, extremely aggressive and powerful rod draws all its strength from a very sophisticated structure, made of carbon with a very high CX2 Nano-Tek module and low incidence of resins, a very compact and light material. 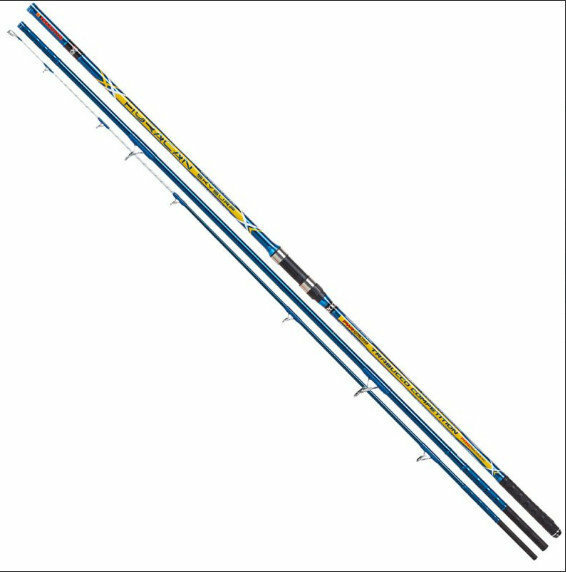 At the top of it we find the classic hybrid solution, where the tubular gives way to solid carbon tip for great sensitivity to the most delicate bites; it is finished with a reflective paint and a spiral tape to offer visibility in night fishing. High-level ringing, with SiC Sea Guide loops with a double-stemmed frame protected with the PVD (Physical Vapor Deposition) treatment, a technology that protects it from the aggression of the saltiness. 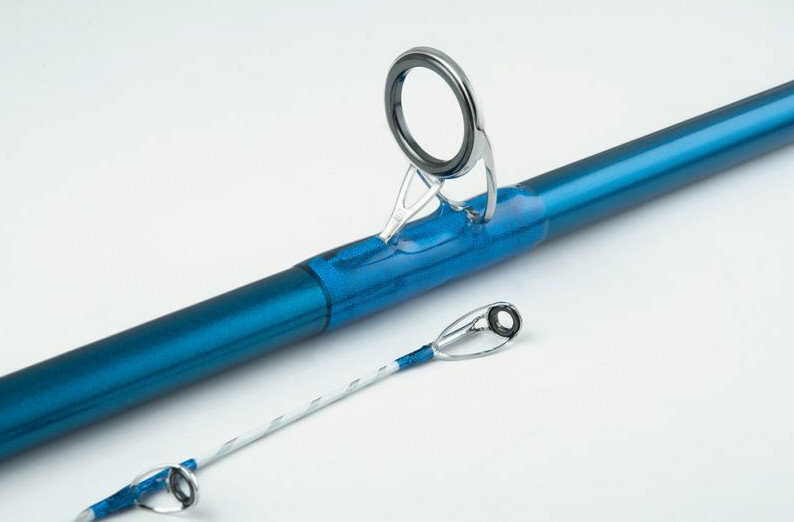 The graphite reel seat with stainless steel plates ensures the tightness of the large-size reels, while the special rubber grip at the base of the kick allows you to safely control the casting operations. The base and intermediate section end with a refined metal ring that protects them from the extreme stresses that can occur during the most demanding casts.